Knight & Beard is a fantasy buddy comedy, staring Knight, an angry young girl who wants to be a hero, and Beard, a gentle giant who hates conflict. The two of them work as lowly guards in the big city of Newport and their miscommunications land them in all sorts of trouble. With a big ensemble cast and a vibrant colorful style, Knight & Beard is an all ages book with themes of empathy, friendship, and more. Knight & Beard began production in September 2015 and launched as a webcomic in January 2017. It posts weekly on Patreon and finished issues are posted for free to read online every two month on Tapas and Webtoon. Subscribe to our mailing list below to receive news on our upcoming Kickstarter that will collect the first 10 issues of Knight & Beard! 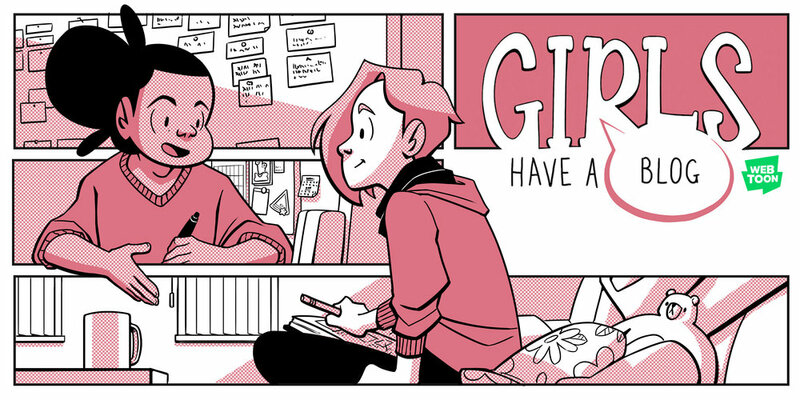 Girls Have A Blog is an autobiographical comic about our lives as roommates, friends, and comic book artists. It began as a bi-weekly webcomic on Tumblr in 2015 and then was rebooted as a featured comic on Line Webtoon in 2017, running for 84 Episodes before coming to a close on August 31st, 2018. 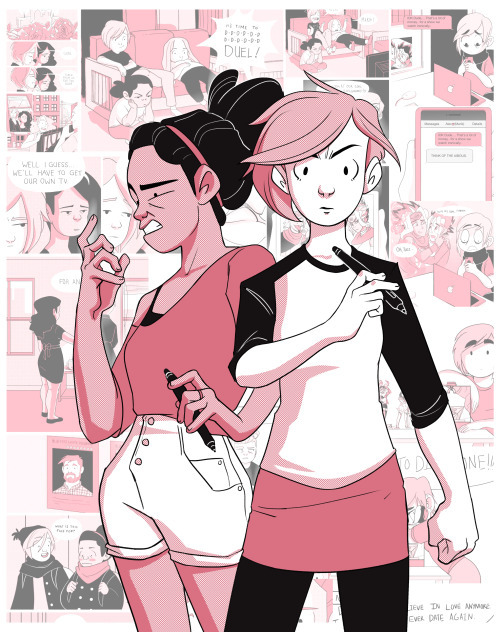 Girls Have A Blog was our first venture into comics and was conceived by a semester of too many late nights, too much pretzel pizza, and zero aspirations for homework. It was created to help ourselves laugh about a rough school year, and over three years after its debut in February 2015, we're still laughing!